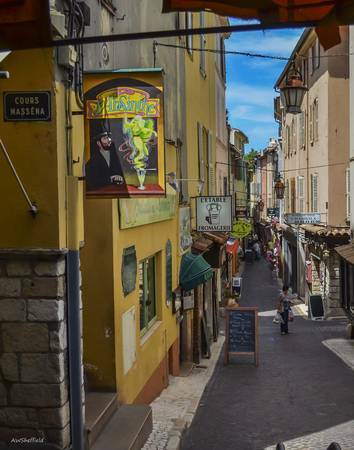 Absinthe - While strolling through Antibes, France, the sign caught me eye and my imagination. There is even a green spirit or genie to remind us of its spell. Why, isn't the Toulouse Lautrec?